Merry Christmas everyone! I hope it's not too late to wish all my readers yet. *wide grin* Since everyone is in Christmas mood, I would like to share some awesome stuffs with my readers here. 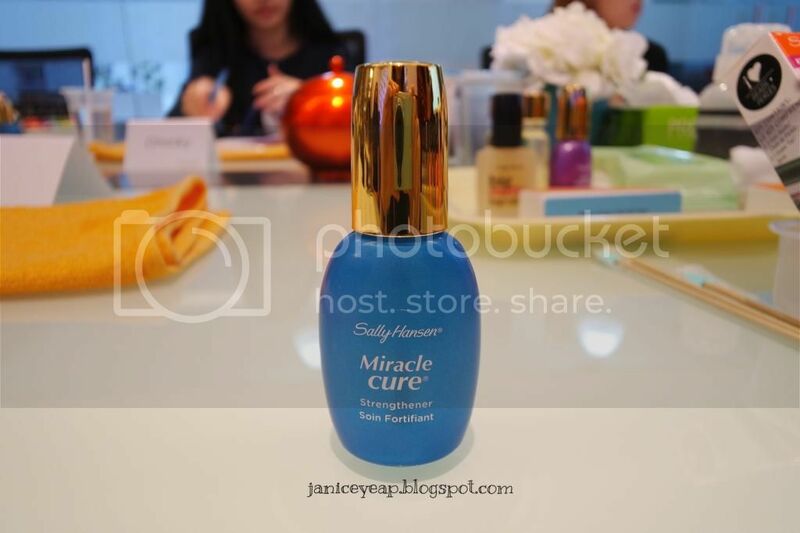 Today I am going to show all of you one innovation product in the market - Sally Hansen® Miracle Gel™. 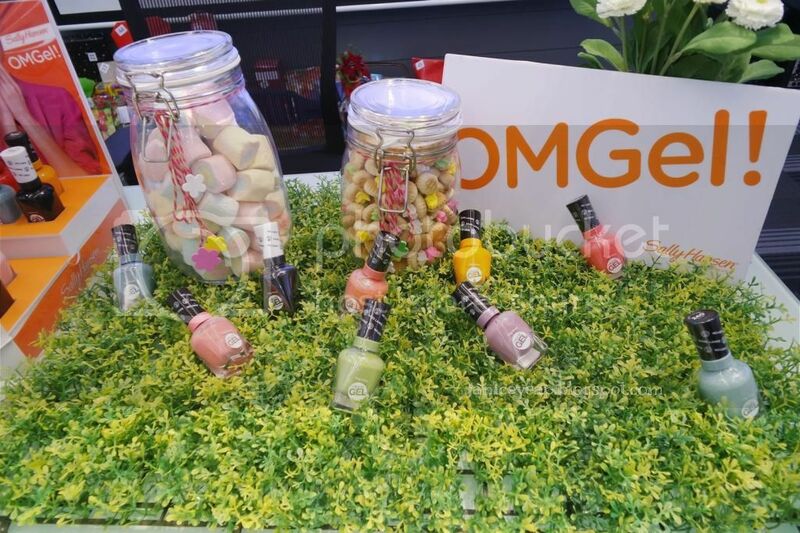 So how special is this Sally Hansen® Miracle Gel™? Let me tell you. This is the gel nail polish which DOES NOT require light and it's the only true 2-step gel manicure! I know most of you might be thinking. No light needed? This can't be true?! Yes. Sally Hansen®, the leader in nail colour innovation, is making manicure history with an entirely new way of thinking about long lasting nail color. The new, patented Miracle Gel™, is the first ever part lacquer, part gel manicure system that delivers up to 14 days of lasting colour and shine in just 2 easy steps. Simply apply two coats of the Miracle Gel Color Coat, followed by the Miracle Gel Top Coat, to achieve the most convenient manicure, ever. The Miracle Gel™ manicure contains patented Tube Technology. This allows a higher level of actives and continuous care ingredients to release into the gel lacquer film, prolonging the integrity of the film resulting in beautifully durable, shiny nails. 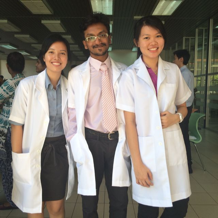 The advanced Color Coat and Top Coat formulas contain an oligomer, and the Top Coat also contains a photoinitiator. 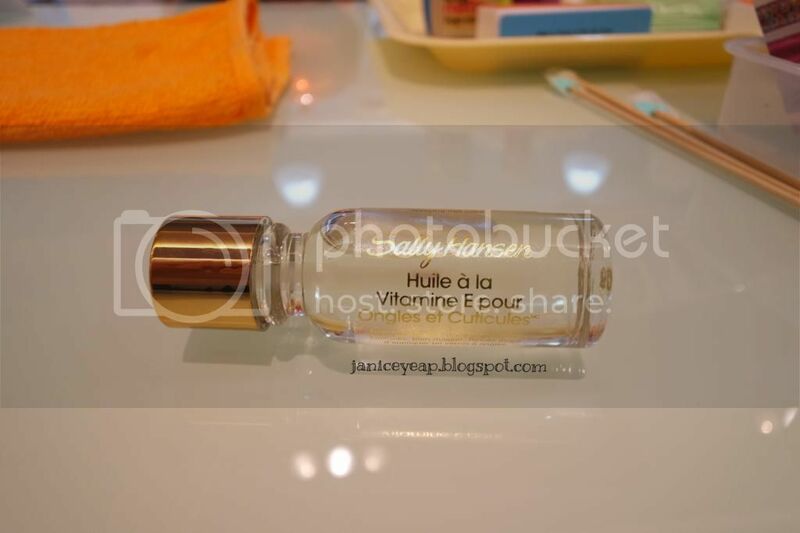 The photoinitiator in the Top Coat formula reticulates with the oligomer contained in the Color Coat, thus curing the formula without the need of an LED/UV light. As the manicure cures over time, it becomes more durable due to the increased hardness of the film. Therefore, LED/UV lamp curing is not necessary, only natural light. Miracle Gel™ comes off easily with both acetone-based and acetone-free nail polish remover—no soaking, wrapping, scraping, or filing necessary. Available in 11 new and of-the-moment shades, cutting-edge Miracle Gel gives you a whole new way to think about color. Miracle Gel™'s assorted shades can complement all skin tones with fresh color categories. 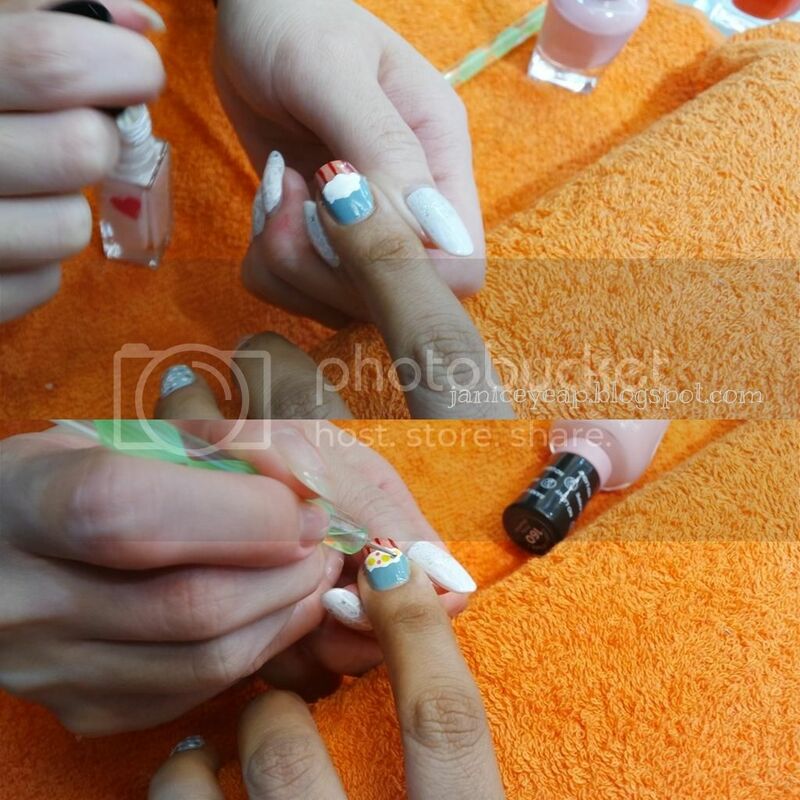 During the workshop, we were given tutorial on how to design Christmas nail art since its month of December. :D First step is to start with clean, dry nails and you do not need to apply base coat for Miracle Gel™. The manicurist applied on Arpita's hand. First of all, you have to apply Gel Cuticle Remover as it moisturizes and conditions the delicate cuticle skin. Please bear in mind not to leave the gel cuticle remover over night as it will weaken the nails. It has to be wiped off after 5 minutes. Formulated with moisturizing Jojoba extract, antioxidant Kiwi extract and nourishing Wheat Protein, it deeply moisturizes and smoothens the delicate cuticle skin. It also has a built-in pusher tip which is perfect for easing back softened cuticles. Next step is to apply Hard As Nails before applying the Miracle Gel™. The original strengthening treatment, Hard as Nails helps to provide long-lasting protection. Nails grow longer and stronger. Nail edges are sealed for protection against chipping, cracking and splitting before applying Miracle Gel™. 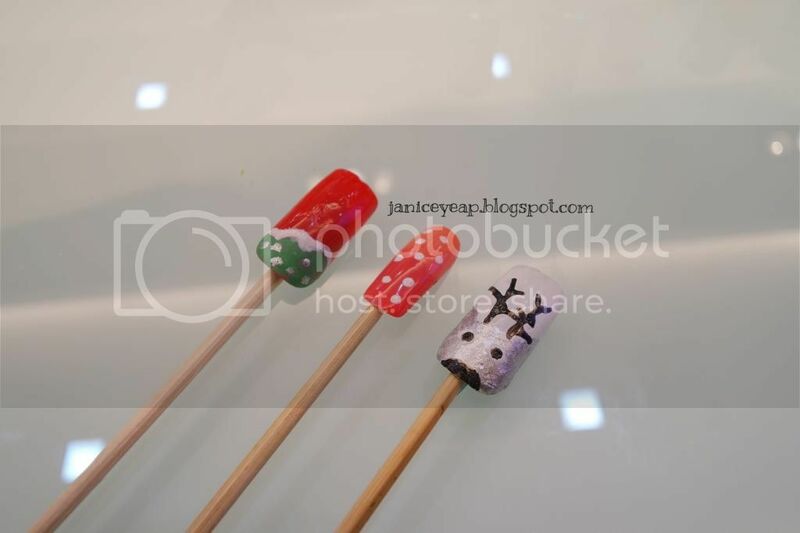 In this tutorial, the manicurist created some of the Christmas nail art on the spot and showed us some of her creation. Arpita decided to pick a few designs from the nail art created by the manicurist above. 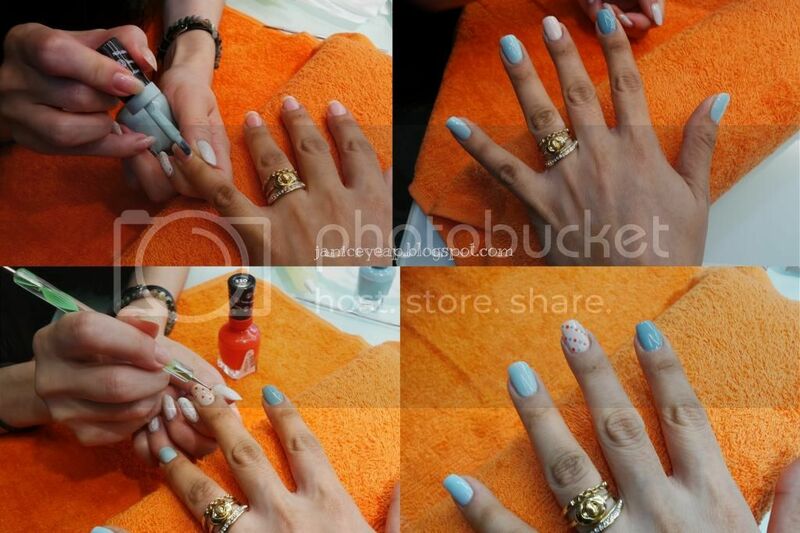 Remember to apply 2 coats of Miracle Gel™ Color before working on the nail art. Dotting tool was used to create dots on the nails to add some effects for the snow. How I wish I own a nail tool kit to practice my nail art skills at home. The manicurist was so professional to the extent that she could create a cupcake design on Arpita's nail on the spot. To design a cupcake, you need I Heart Nail Art Striper to create fine lines on the cupcake design to make it look so real. Finally, activate the curing with 1 coat of Miracle Gel™ Top Coat. This Nail Art Striper is great for drawing fine lines and detailed work. With its precision fine tip brush, it gives you a maximum control to create detailed nail art designs. The brush is perfect for creating lines, dots or arched designs and it is available in 10 trend setting colors. 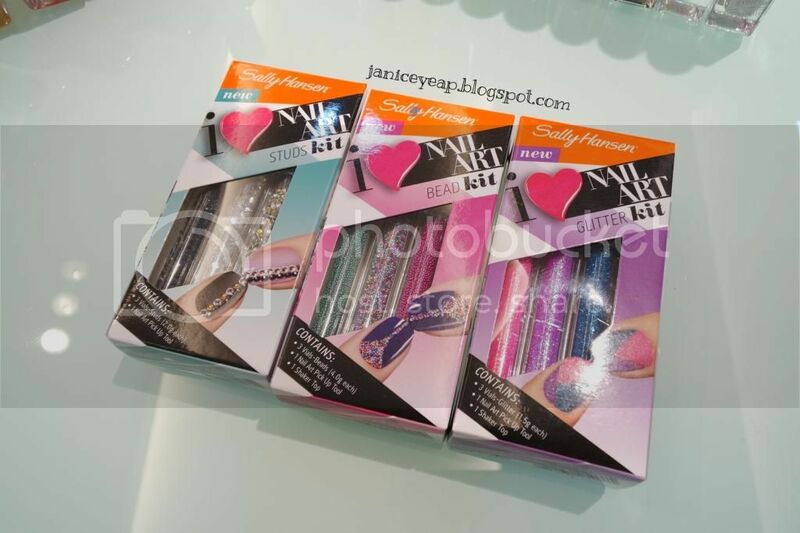 Some of the nail treatments from Sally Hansen. 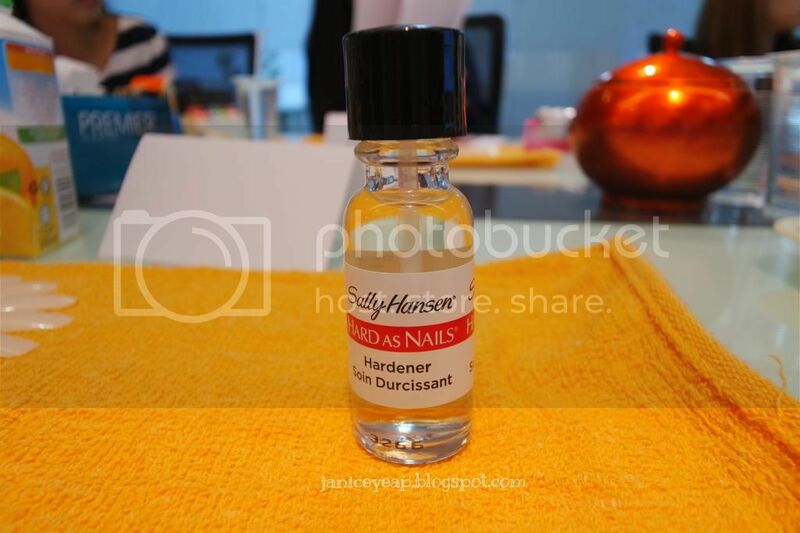 Other than nail polish, Sally Hansen also produced nail care / treatments to cure your specific nail problems. If you face nail problems such as peel, break, crack and split, Miracle Cure Strengthener is a nail care that you should try as it guarantees up to 50% stronger nails in 3 days. With exclusive Micro-Mineral formula, this nail treatment fills in cracks to instantly strengthen and reinforce nails. It instantly stops peeling, seals the nail plate and bonds layers together too. 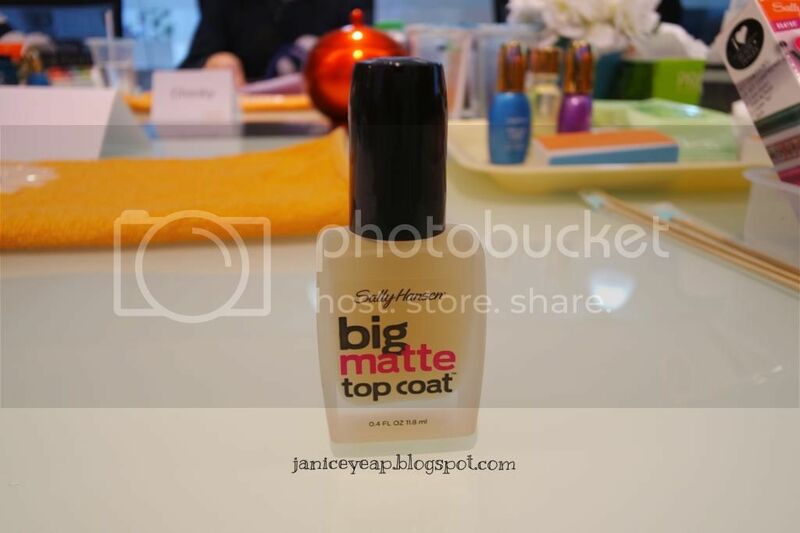 Big Matte Top Coat enhances your manicure with an extreme matte finish. The quick-drying top coat is fortified with mattifiers that instantly transforms any manicure into a velvety, matte finish. The specifically designed formula applies evenly and preserves the look and texture of nail color and nail art. An intensely moisturizing Vitamin E Nail and Cuticle Oil that softens cuticles and cares for dry, brittle nails. Natural Essential Oil Complex with Vitamin E, Wheat Germ, Apricot Kernel, Aloe and Panthenol moisturizes and conditions cuticles while increasing nail flexibility. Remember to use after manicure and before sleep. Besides that, we were given the opportunity to design our own Christmas nail art on that day itself by using the tools and nail arts given. WANNA HAVE A LOOK ON MY NAIL ART CREATION? Loving all the pastel colors from this Miracle Gel™. The 11 pretty colors on the acrylic nails. 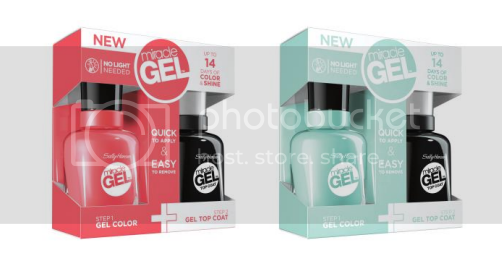 Here's a good news to all my readers who wish to try out the new Sally Hansen® Miracle Gel™. Sally Hansen has introduced the Xmas Duo Pack which comes in one Miracle Gel™ color and one Miracle Gel™ Top Coat at only RM52.90. Miracle Gel™ Nail Color (RRP: RM34.90) and Miracle Gel™ Top Coat (RRP: RM34.90) are now available for purchase at Watsons, Guardian, SaSa, Caring, Parkson and AEON 1 Utama. For more info on the Miracle Gel™, please visit: https://www.facebook.com/SallyHansenMalaysia or http://www.sallyhansen.com.